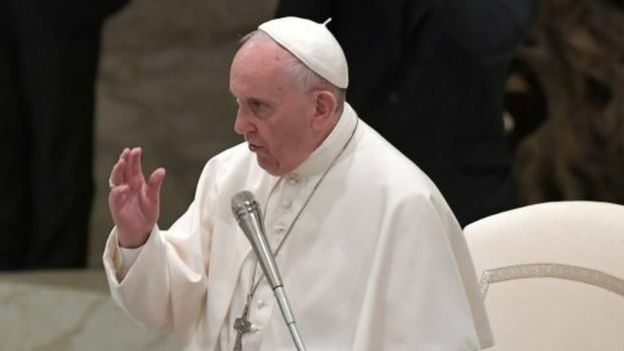 Pope Francis has criticised the naming of the US military’s largest non-nuclear explosive ever used in combat as “the mother of all bombs”. The Pentagon said it was dropped from a US aircraft in Nangarhar province, targeting tunnel complex used by IS. The explosive is officially called the GBU-43/B Massive Ordnance Air Blast Bomb (MOAB), but is widely known as “the mother of all bombs”. The Pope’s comments come ahead of his meeting with US President Donald Trump on 24 May.